A graceful overscaled, scroll medallion appears over a small, finely woven diamond texture. The designs elegance continues through in tones of champagne and a hint of blush. Contrasting textures of crushed velvet, beads and faux ostrich can be found in the accessory pillows. 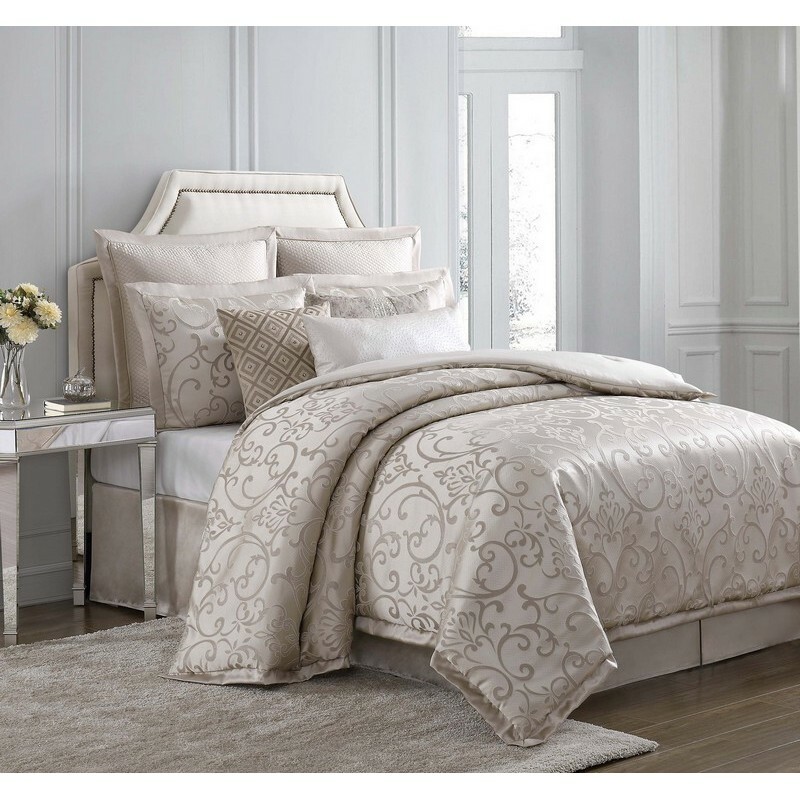 A soft metallic sheen adds extra elegance to the jacquard fabric.